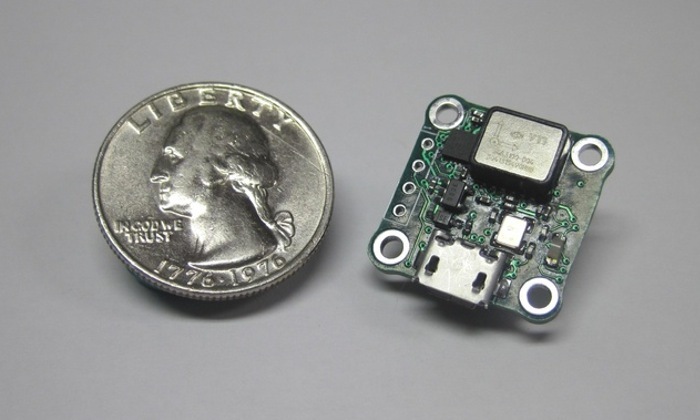 Developers and makers looking for a small but very accurate heading reference system might be interested in a new device called SSAHRS created by SimpleMEMS. SSAHRS is a Solid State Attitude and Heading Reference System that measures just 19mm square and has been designed to provide a highly accurate vibration resistant altitude and heading reference system for your projects. “An Attitude Heading and Reference System (AHRS) is a device capable of measuring heading (yaw), pitch, and roll angles of an object moving through three dimensional space. Data from three different sensors: a magnetometer, accelerometer, and gyroscope are fused to calculate pitch, roll, and yaw of a moving body. In static conditions, where the system is stationary, pitch and roll can be completely and accurately determined using just a high quality accelerometer. Heading comes from using the accelerometer to find the gravity vector (i.e. “down”), then translating the three-axis magnetometer to get heading in the horizontal axes. Calculations under these conditions are fairly trivial. However, once the AHRS begins to move through space these calculations no longer apply. 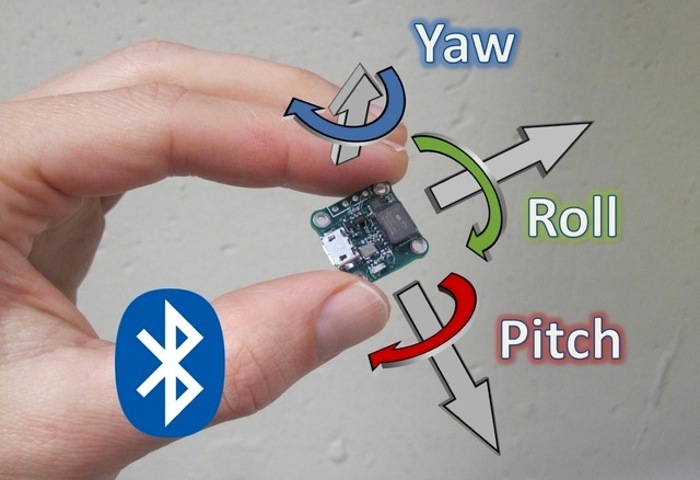 As an example, think of the three axis accelerometer on an AHRS that is tossed into the air. Since it is in free flight, all axes on the accelerometer will read exactly zero. Thus, both pitch and roll are undefined, and the magnetometer output cannot be translated to the horizontal plane. Sensor fusion algorithms use these two sensors plus a three axis gyroscope to form the solutions. The SSAHRS Heading Reference System project is currently over on the Kickstarter crowd funding website looking to raise enough pledges to make the jump from concept to production. So if you think SSAHRS is something you could benefit from, visit the Kickstarter website now to make a pledge and help SSAHRS become a reality.